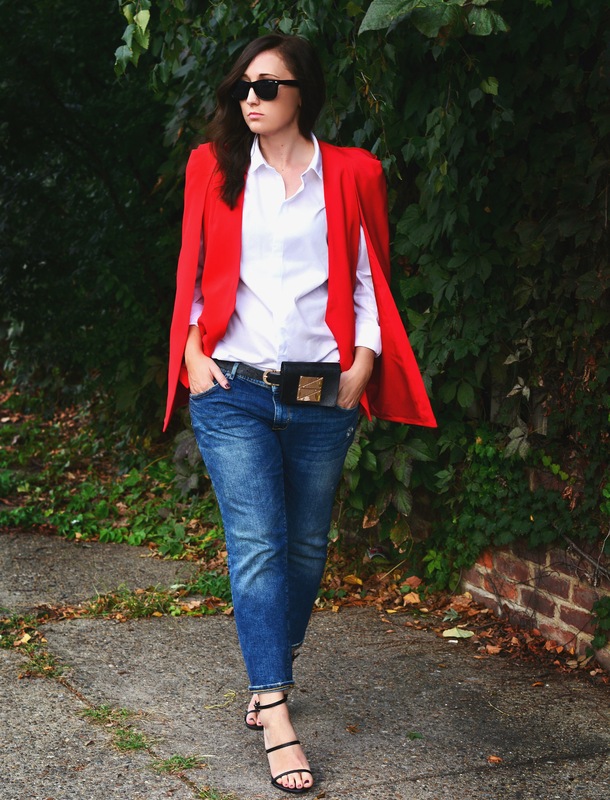 After several seasons of make-shifting my blazer as a cape, I finally pulled the trigger and snagged one of the many blazer-like confections that popped up this year. However, instead of going for a neutral color palette, I decided to go with a pop of red instead. 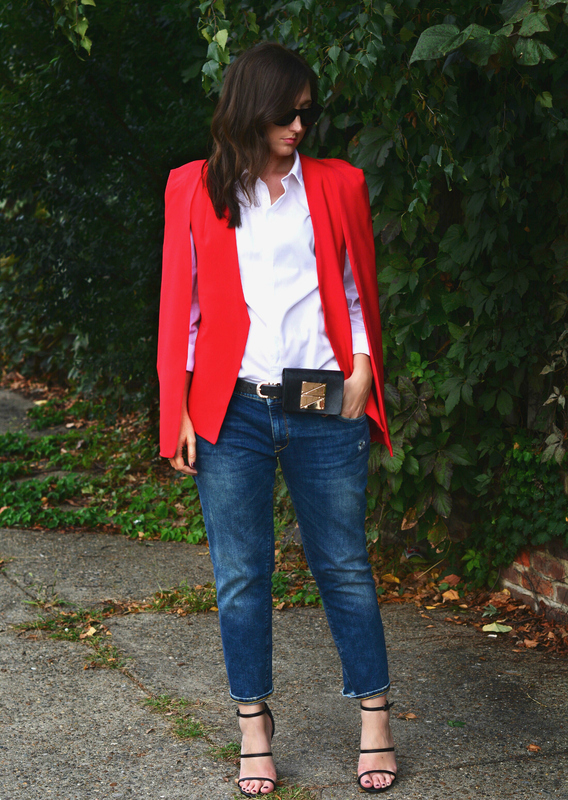 Now, me an my cape-blazer hybrid are practically inseparable, which makes me wonder why it took me so long to finally update my closet with this new staple. Better late than never, I guess? And some things are just worth waiting for. You pull off this cape so well! YES! 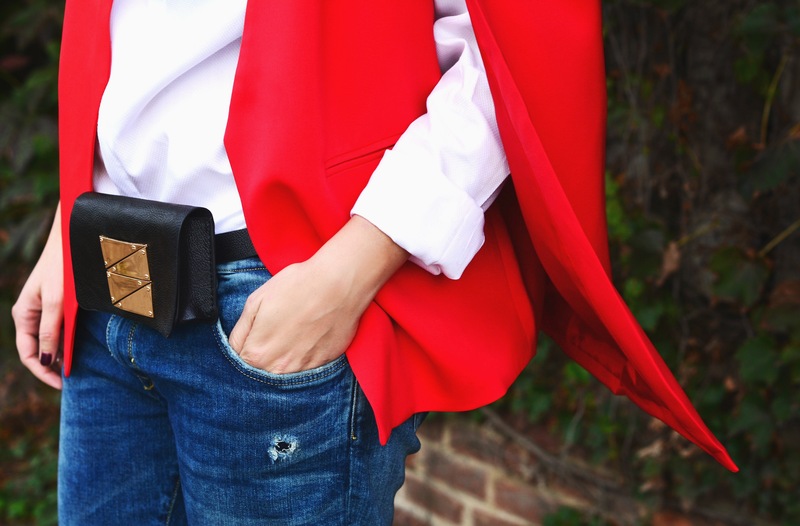 This is the perfect blazer cape. I love the bright color! Wow! Look amazing! Love the cape! Oh wow, non-curse words cannot express my love for this cape, haha. 😉 Perfection in every way! Amazing style, Miranda! 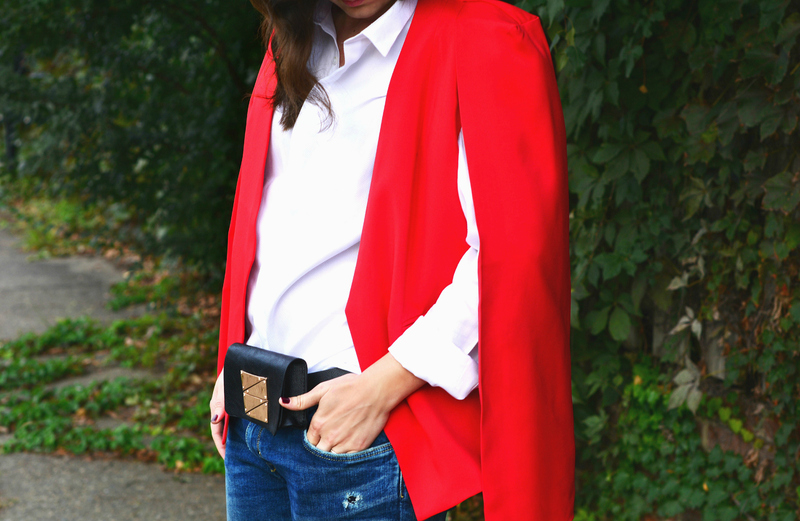 Love the blazer, such a fab piece! Love this stunning look. Perfect on you. Great pics. The red coat is just stunning! P.S. I love the sandals.